Delivery and shipping times can vary. For each of our product ranges, you'll find an estimate of how long it will take an order to reach a location within the UK mainland. Orders to UK Islands, Northern Ireland and Republic of Ireland will usually take a day or two longer, and orders to the E.U. and the U.S.A. usually take between 3 and 7 working days longer, than estimated times for the UK mainland. Wherever possible, we will provide an indication of delivery/shipping times, when we confirm your order. 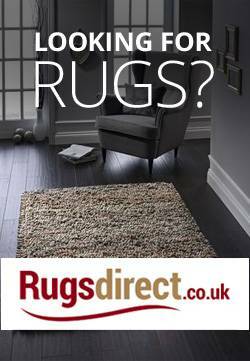 Your Stair-Rods Direct order will be delivered FREE OF CHARGE within the UK mainland on our standard delivery service for all orders over £75, for all orders to the UK mainland under £75 a delivery charge of £8.99 will apply. If you would prefer the convenience of a timed service, please choose from the options below and specify your selected delivery time when you place your order. There is a standard delivery charge of £17.99 for deliveries to Northern Ireland, Scottish Grampians, Scottish Highlands and Scottish Offshore Islands. There is a standard delivery charge of £14.99 for deliveries to the Isle of Wight. There is a standard delivery charge of £9.99 for deliveries to UK Offshore Islands. We base your delivery charge on the weight of your order and calculate this during the checkout process. You will see the delivery charge, beneath the sub total for the items you have ordered, before you continue to our secure server to enter your payment details. We are currently unable to offer timed delivery services to these destinations.If you have specific delivery or shipping requirements, please email us on customerservice@stair-rodsdirect.co.uk. We are continually expanding our delivery areas around the world. When you reach the checkout, you will be offered a list of countries to select from. If we have shipping arrangements with your country, it will be listed. If your country is not listed please contact us and we may be able to make suitable arrangements. Please note that it is your responsibility to pay any customs taxes incurred on arrival of your goods into your country. Stair-Rods Direct bears no responsibility for these or related charges. For your convenience, we can deliver your Stair-Rods Direct order to an address other than your billing address. This option is offered when you reach the checkout. Please note that your invoice receipt will be sent to your billing address ONLY. For your security, we may also send a letter requesting confirmation of the order before despatching your goods to an alternative delivery address. Please use the Special Delivery/Shipping Instructions section, after you have entered your billing address at the checkout, to give us any instructions which will help to ensure that your order reaches you without delay.